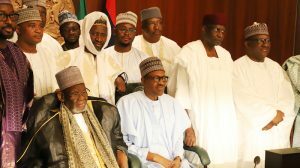 President Muhammadu Buhari has not made secret of his plan to seek reelection and he has been confirmed as the candidate of the All Progressives Congress (APC) in the February, 2019 poll. The President achieved sensational victory during the 2015 election, but may not find it that easy or as a tea party this time. This is because in 2015, he was running on the dismal record of the then President Jonathan but now he is running on his own record, which is a divisive topic in the country at the moment. The President himself is not known to be a great politician or a political strategist, so if we say his game plan, we are talking about the strategies and tactics that his team of strategists or think-thank in collaboration with the APC would deploy, and are already deploying, to secure victory for him. Some of the strategies are already in full operation. Keen watchers of the polity would easily notice that at the moment, the implementation of some aspects of the game plan to ensure the President get a second term, are on. Below are 7 of the key strategies the Presidency and the ruling party are deploying to win reelection for President Buhari. 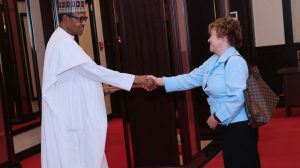 President Buhari and his handlers are aware that valid questions have been asked and are still being asked by Nigerians and indeed the international community about the present administration’s performance, which many do not see as fantastic. This perception, right or wrong, threatens his reelection chances and since the main opposition party, the Peoples Democratic Party (PDP) is the other option, the best thing is to keep reminding Nigerians how corrupt they were when they held sway for 16 years. That is why the President himself, his deputy, Professor Yemi osinbajo and other surrogates do not hesitate to turn the heat on the PDP each time they hold the microphone and attack the opposition’s dismal anti-corruption records. They go as far as reeling out figures to buttress their arguments that PDP’s 16 years of looting was responsible for the recession we faced in 2016 and the inability of the present administration to perform better than this. Continuing on this lane will also deflect attention from the seeming failings of the present administration. The final aim of this game plan is to make the electorate see PDP as an evil enclave that should not be touched with the longest pole on account of corruption, and continue to put up with APC whose performance records are also questionable. Three years down the line, the President has gone through reality check and his administration has now been subjected to all sorts of criticisms from parts of the country which threaten his second term chances. He has however managed to retain his support base in northeast and northwest, two zones made of people who are moved more by belief, faith and dogma than what they see and hear. The President’s game plan ahead of 2019 therefore is to keep them intact therefore; get them excited with fantastic statements like “I am back to the country to jail all the looters,” which he delivered on his return from vacation in London recently. One can only imagine the ripple effects this singular statement generated on the streets of Kano, Gusau, Daura, Malumfashi, Potiskum, Maiduguri ,Bauchi etc. Imagine a gathering of people listening to the Hausa translation of the statement on BBC Hausa Service and other vernacular radio services on the streets of Zaria, Funtua, Shinkafi, Misau etc. The social media was not left out of the buzz around the statement as the video, audio and written texts were enthusiastically shared by his passionate crowd of supporters. This is just one of the many strong statements the President has deployed and will still deploy in his bid to get himself a second term in office. 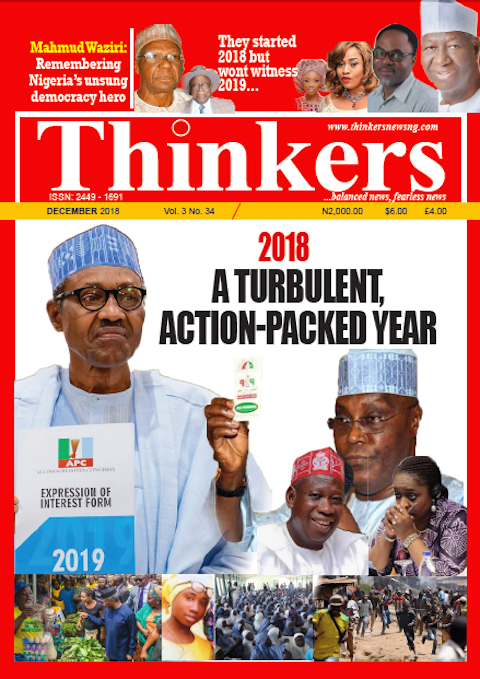 Being smart politicians, the President and his handlers are aware of the fact that people do not vote on the basis of quality thinking, critical/logical reasoning or facts, rather they vote on the basis of sentiments and emotions; hence the deployment of this tactic ahead of February 2019. It is still about corruption. 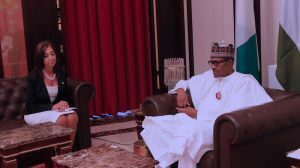 President Buhari and his handlers are very much aware of how passionate Nigerians are about the issue of corruption as it is a consensus among the majority of the citizenry that it is the main reason Nigeria has continued to under-achieve. That is why the administration’s strategists have smartly found a way around every challenge thrown at the government by the opposition and even neutral critics and wrap everything around corruption and the battle for the country’s resources. 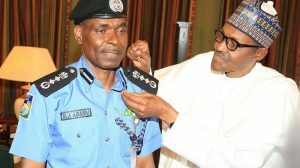 For example, during the peak of the killings by herdsmen and bandits in the early months of 2018, which questioned President Buhari’s competence, the presidency introduced a narrative to deflect attention from the killings and dodge the blame by claiming that corrupt politicians who are hurting that the President had blocked all avenues to looting were the ones sponsoring the killings and escalating the crises to de-market the present administration. 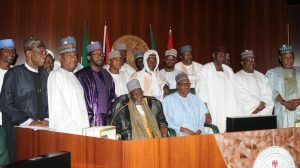 The President and his party, the APC have an organized set of willing youth volunteers, in thousands, who keep a 24-hour vigil on social media and who indiscriminately throw the word, ‘looter’ at any one or group who tries to question the government or raise posers about policies and statements of government officials, however objective or logical. Even if party members try to swim against the tide, this enthusiastic crowd of supporters is there to hammer the tag of ‘thief’ on them. This is a strategy deployed by the Buhari team to neutralize all the dissent that can gradually build up into the kind of rebellion that chased PDP out of power in 2015. 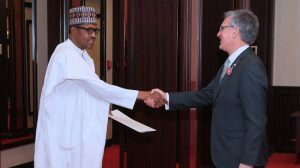 Southwest has in recent years been a significant part of the decision-making process of who becomes Nigerian president. It has in the last two general elections helped to enthrone and dethrone Nigerian presidents. In 2011 for example, when incumbent president Goodluck Jonathan of the PDP stood against General Muhammadu Buhari (rtd) of the Congress for Progressive Change (CPC), the former commanded strong support base from the south-south and southeast while the latter was strong, as usual in the northeast and northwest, leaving the southwest and north central zones up for grabs. Due to some religious factors and the strength of the PDP in that part of the country, the north central, save for Niger state, went for Jonathan. With the allegedly secret deal Jonathan had with the Bola Tinubu-led Action Congress of Nigeria (ACN), Jonathan also won the entire southwest, save from Osun state which voted for ACN’s Nuhu Ribadu. It was therefore widely believed in political circles that it was the southwest that changed the game in favour of Jonathan, since aside winning the highest number of votes in an election, for a candidate to be announced winner of a presidential election, he has to win at least 40 percent of the total votes cast in at least 24 states. 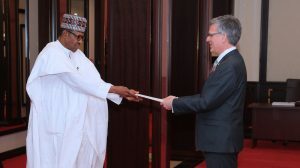 A lot of waters passed under the bridge between 2011 and 2015 as President Jonathan was alleged not to have recognized the role of the southwest in his emergence, in terms of key appointments and other forms of political patronage. So the Tinubu-led progressives ditched Jonathan and instead formed a cross-national merger of forces that birthed the APC. Aside the Tinubu led political elite who were against Jonathan, the other educated elite in Yoruba land who felt scandalized by the too many corruption scandals and the unending Boko Haram insurgency also campaigned against Jonathan. The southwest therefore made a huge u-turn from 2011 and voted Buhari in 2015. Three years down the line, the President and his party seem to have lost reasonable grounds in north central due to persistent killings traced to herdsmen which many think were not properly dealt with. Southwest is therefore the last bride which must be secured for President Buhari to be certain of winning the next election. 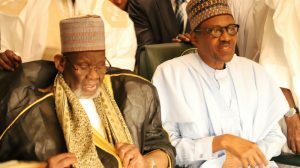 The first political masterstroke deployed by the President was to get Tinubu back into the mainstream after a few years of being reportedly sidelined. With Tinubu back and leading the assault on the opposition, a lot of things are beginning to fall into place for the president in the southwest. In June 2018, the President surprised Nigerians when he announced his intention to honour the winner of the June 12, 1993 presidential election, MKO Abiola; a calculated attempt meant to soften the hearts of southwest people ahead of the 2019 election. The move was suspected to be a smart one suggested by Tinubu. 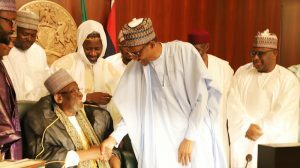 The ceremony in which the President also declared June 12 as Democracy Day and apologized to the Abiola family for the annulment of the election, was held at the State House Conference Centre, with pomp and pageantry. As far as Tinubu and his group remain with Buhari, it will be difficult for anyone or group to upstage the APC in the South-west. Tinubu is even more strategic in neutralizing the president’s political enemies like Chief Olusegun Obasanjo, Chief Ayo Adebanjo, Chief Olu Falae etc. 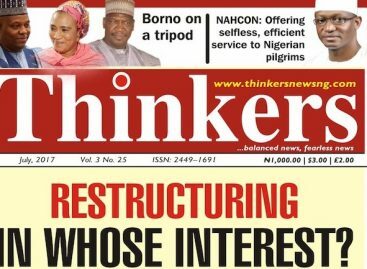 The June 12 issue was used to diss Obasanjo who is seen as a villain for not recognising MKO throughout his eight years as president even though he was the biggest beneficiary of his struggle. Some Yoruba stakeholders were saying they will rather support Buhari who recognized MKO instead of an ‘ingrate’ like Obasanjo. It is difficult for Buhari to win the South-west outrightly but at least he is dividing the zone and he will cut it deeper to his advantage between now and February. 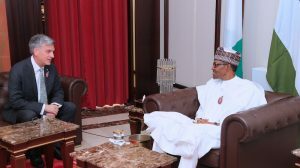 The two zones of south-south and southeast have never been friendly to President Buhari, though he defied them to win a historic election in 2015. Ahead of the 2019 election however which promises to be a different ball game, the President has wisely decided to extend his tentacles beyond the parts of the country that gave him victory in 2015. The President has made some key appointments from the two zones, with a view to empowering his men with the necessary political capital and resources to stand for the ruling party in their respective constituencies and states. 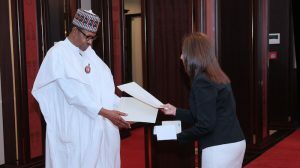 Some of the key appointees who are helping the President to bridge the political gap in the two zones include Minister of Transport, who is equally the Director of the Buhari Campaign Organization, Rotimi Amaechi, Minister of State, Petroleum, Ibe Kachikwu, Minister of Budget and Planning, Udoma Udoma, Minister and Labour and Employment, Chris Ngige, the Director General of the Nigerian Maritime Administration and Safety Agency (NIMASA), Dakuku Peterside, Presidential Liaison Officer in the Senate, Ita Enang, among many others. Aside the above-mentioned appointees, a lot of politicians have also in the last years been convinced by agents of the APC to dump the PDP and join the ruling party. 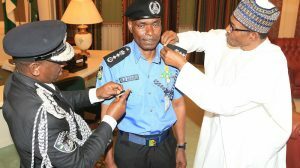 Many of the bigwigs who had joined the APC as a result of the President’s willingness to open his arms include former governor of old Anambra state, Jim Nwobodo, former governor of Abia state, Orji Uzor Kalu, Senator Hope Uzodinma, Senator Osita Izunazo, Senator Victor Ndoma Egba, Senator Andy Uba among many others. 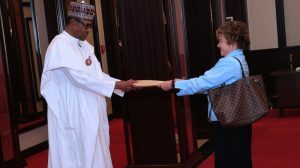 In one of his first major outings after taking oath of office in 2015, President Buhari was in the US and in a media interview lamented that some parts of the country gave him 97 percent of his votes while other parts gave him 5 percent. 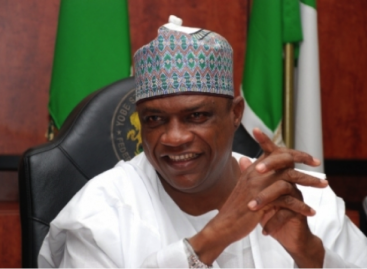 While his mathematics was not particularly correct, the point was made that he was not happy with the near total rejection he got from the people of south-south and southeast… he must have made up his mind to do everything possible to attract the people to his side ahead of the 2019 battle. With the foot soldiers the President now has in the two zones, it is almost an assurance that his electoral outing in 2019 will not be as bad as that of 2015 even though it is difficult if not possible for him to win there outrightly. How far his foot soldiers will go in dividing the votes in the two PDP strongholds, in favour of Buhari, remains to be seen. 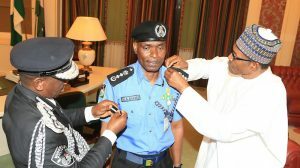 In the south-south which is known for its political volatility, the President now has two formidable strikers to lead an affront on the opposition in the persons of Senator Godswill Akpabio and former governor of Delta state, Emmanuel Uduaghan as well as another dogged and vibrant politician, Senator Ovie Omo-Agege. In the southeast, the presidency has turned the heat on the region with the construction and rehabilitation of so many road and bridge projects (69 of them according to Minister of Information, Lai Muhammed!) as well as many other projects. 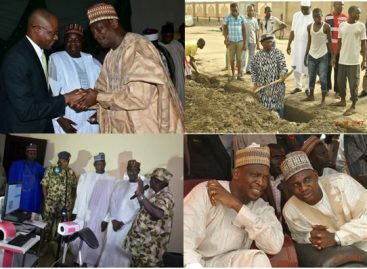 President Buhari’s surrogates have in recent times over-loaded the internet with the pictures and stories of a lot of infrastructural projects done in the southeast, as part of measures to improve the President’s electoral showing in that part of the country, ahead of the February election. The president and his strategists are very much aware of the circumstances that led to the victory of the APC at the federal level in 2015; so they are wary of not repeating the mistakes of President Jonathan. 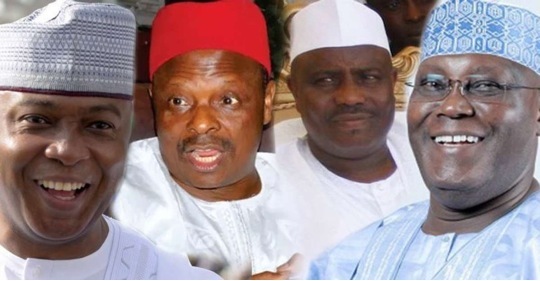 One of those errors was that there were so many defections from the PDP to the APC after the emergence of G7 governors and the New PDP, without any appropriate or commensurate response. 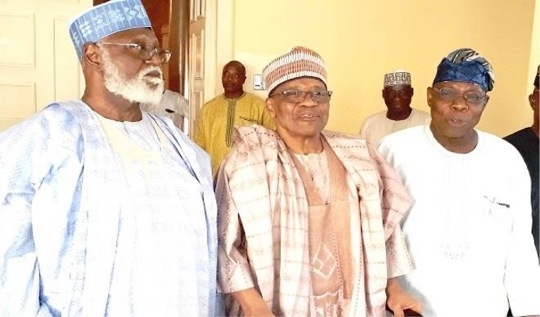 That is why the president, party leaders and other stakeholders held series of meetings with Senate President, other lawmakers and state governors when it was obvious they were going to move on, to avoid a possible implosion in the ruling party. But since they failed to stop the gale of defections, the APC has now developed a quick response mechanism in such a way that if they lose a bigwig to the PDP now, one top shot is gained immediately from the opposition party. Now, for any Saraki and Dogara lost to the PDP, a lot of Akpabio and Shekarau have been gained just as for any Ortom lost, there were lots of Uduaghan gained. 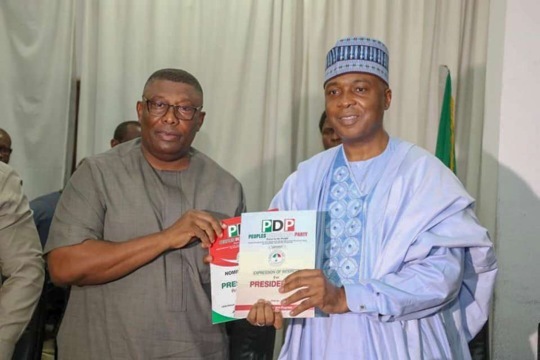 The President and his party are truly ready for the 2019 elections and they are ready to poach more from the PDP as soon as they lose any of their key figures to the main opposition party. Aside the crowd of supporters the defectors contribute to the APC, the ruling party is fully aware of the psychological effects of defections on party supporters nationwide. The swiftness with which they quickly moved for Akpabio and got him immediately was indeed commended by political watchers as deft political move. The fanfare with which Akpabio’s defection was celebrated was also a statement of intent by APC to their rivals that the 2019 battle is not going to be a tea party for the opposition. Tinubu and Yoruba leaders on one side and Rochas Okorocha and Igbo leaders, within the APC, on the other are in a rat race to impress the President on who can bring more votes for his reelection in 2019. This is because of the belief that if the President does a second term in office, it will be the turn of either southeast or southwest to produce the next president. The two groups also apparently have same assurances from the President’s men that they will have his (Buhari) support in 2023. The President has tactically kept quiet on the issue and allowed the day-dreaming, which will eventually favour his reelection, to go on. The President hopes to serve out his second term and either allow the two gladiators to fight it out or take a decision months to the end of his second term. The above strategies and many more are what the President is relying on to keep him in office beyond 2019. The implementation of some of the strategies is already underway while others will come into play as we move close to the business end of the campaign. It remains to be seen how far the game plan will win the crown for the President for the second term.